Here is the grand revelation for the night. When you say you sweat like a pig, or work like a dog, or look like a sponge…… you may not be that far off. I know. You don’t look like a sponge most days. But even still… I write. Scientists describe virtually everything that is alive as animal or plant. So, if you’re not a plant then you are an animal. In fact, every human is an animal. Plain and simple. And here is the big news. A humble sea sponge may be the common ancestor of all animal life. The proof? Some smart guys (and gals) did a recent genetic analysis of some really old rocks. You see… these guys found some 640-million-year-old rocks. And then they investigated. They discovered that this particular sea sponge may have been the first animal to develop on Earth. Hold on to your HATS. Because. What they found was the truth of life. We all come from a sea sponge. You are a sponge. I am a sponge. Scientists estimate that there are about 8.7 million species of animals on Earth – give or take 1.3 million. But in the beginning there could be only one. That animal was very likely the simple sea sponge, according to a study by researchers at the Massachusetts Institute of Technology in Cambridge. WE are talking MIT. Not Donald Trump University here. Based on these snappy genetic tests, the team of smarty-pants scientists….. can say with confidence….. that molecules produced by sea sponges have been found in 640-million-year-old rocks. These rocks significantly predate the Cambrian explosion, the period 540 million years ago in which most animal groups took over the planet, suggesting that sea sponges may have been the first animals. Now, this is big news for me. 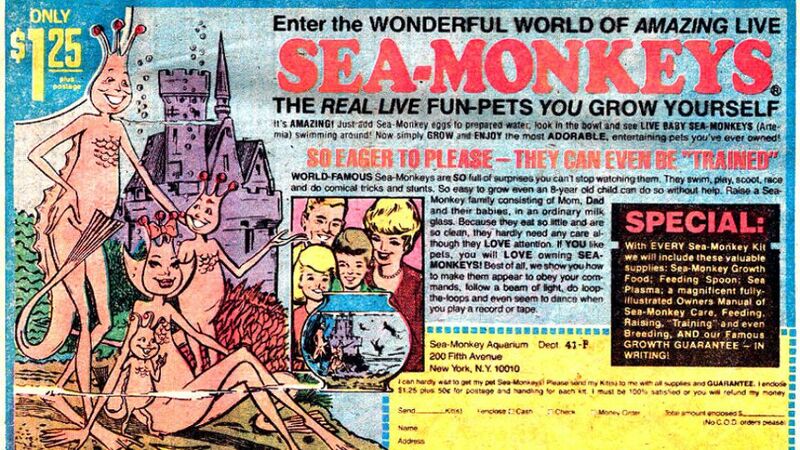 I have ALWAYS had a very strange affinity for Sea Monkeys. Since a very early age. THIS explains it all. Every little minute of it. I can’t tell you the excitement, the jubilation, the elation. Once again, this Universe reveals itself. This all comes full circle. My head is swimming. See? There it goes again. I mean, I’m floating. There it goes again. I’m absolutely buoyant. Dag nab it. Okay, I have to end this thing tonight. 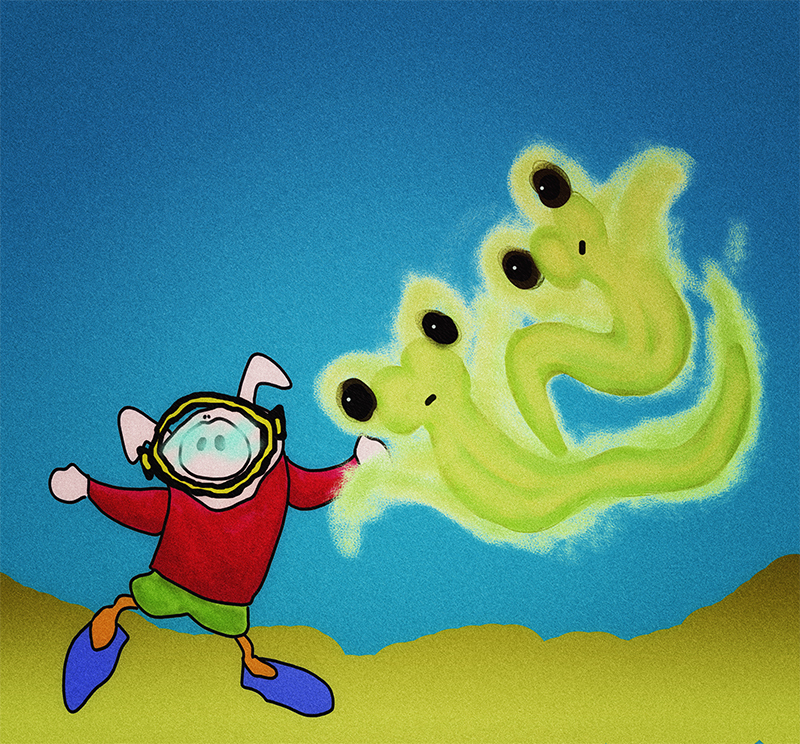 I have to write Ode to a Sea Monkey.